Does it matter what you know about a political candidate’s personal life? How does it relate to your vote? If you think about questions like these, you should consider Mitt, a new Netflix documentary about Mitt Romney’s unsuccessful 2008 and 2012 Presidential campaigns. The film trades in these questions with the personal story of candidate Mitt Romney, drawing on years-long, seemingly unfettered behind-the-scenes access to Mr Romney and his family as he runs for President. The film, directed by Greg Whiteley, begins in a Boston hotel room in 2012, where a stunned silent Romney family, prodded by Mr Romney, begins to think about what to say in a concession speech, the loss to President Barack Obama dawning slowly. The shot fades, and we are delivered to a Romney home in 2006. We see the family gathered in the living room, Mr Romney with pen and legal pad in hand, wrestling with why Mr Romney would run for President of the United States. No handlers. No consultants. Just family. And, remarkably, a camera shooting up into the middle of the discussion. We get to see a lot. There is a lot of support. A lot of encouragement. A lot of concern. And, there is what seems the overriding sense of duty. The idea of duty expressed by Mr Romney and his family, in this 2006 scene and throughout the film, seems like a kind of compulsion—even coercion—that comes from an understanding of the implications and obligations of Mr Romney’s success in business and politics. This is a privileged perch, to be sure. And, Mr Romney is not without confidence that his success will benefit the country. But, the duty felt is not therefore light and free for Mr Romney. This is a man and his family that seem to see and feel the gravity of its call at least as much as it enjoys the benefits of its successes. Indeed, it may be that there is no success in the absence of felt gravity. And, as we learn throughout the film, there is the blessed memory of Mr Romney’s father, George W. Romney, to consider. Once Chairman of the American Motors Corporation and the 43rd Governor of Michigan, Mr Romney the Elder is this film’s—and his son’s—spectral ideal. The elder Mr Romney, who died in 1995, seems to inhabit the son’s Presidential pursuit, sometimes in the form of a campaign poster, always in loving memory, always incomparable. But, Mitt is no Hamlet. The Mitt Romney we see in this film is a kind, dutiful, loving, generous, successful, self-effacing and slightly awkward man surrounded by a growing family he clearly loves and which clearly loves him. Respite from the campaign trail, however brief, comes in the form of time spent with family. We see Mr Romney hugging his grandchildren with a relish and sparkle in his eye we rarely saw on the campaign trail. We see Mr Romney in a hotel room, before his first debate with President Obama, fretting over and gathering up trash he sees on the hotel room balcony, tottering off camera to throw away the trash. We see Mr Romney worry that his efforts do not—cannot—live up to and his failures may somehow sully the memory of his beloved father. At the very end, campaigns over, we see Mr Romney restless to drive his own car and to shed the embarrassment of the Secret Service detail of whose members he is clearly fond. Mr and Mrs Romney sink into their Boston home at twilight and it is hard not to think they are secretly relieved it is all over. Mr Romney has personal and interpersonal passion. And we get to see it here. But what we see in this film is not Mr Romney’s passion for Presidential politics. There is no all-consuming drive. No political gift. No anxiety-laden and corrupting lust for power and revenge. There is duty and commitment. There is hard work. There is family. And, if anything, it is almost as though Mr Romney’s love of family, his sense of duty and commitment prevail over, even protect him from whatever capacity it may take to win a Presidential election. But, we should not get too carried away with this idea. After all, we are watching glimpses of the personal life of a man who is choosing to run for President of the United States—twice—each time, it seems, against better judgment. And we get to see this disconnect. Mitt Romney’s presidential campaigns, largely unseen here, were plagued by questions of identity. Early in the film, we get a glimpse of Mr Romney at a fast food chain, unrecognized while sitting within earshot of potential voters. Mr Romney’s instinct is to be civil—friendly but not familiar. To be sure, there was the question of what it meant that Mr Romney is Mormon. It was a—perhaps the—problem for Mr Romney. A quiet problem. But, still a problem. It is a faith about which we are often ignorant, misinformed and suspicious. And, Mr Romney’s clear and mindful devotion to it, so evident in this film, was absent—in part by choice—on the campaign trail. If there is a weakness in this film, it comes in the transition from Mr Romney’s withdrawal from the 2008 Republican Presidential primaries to Mr Romney’s re-emergence as the Republican nominee for the 2012 Presidential campaign. We see Mr Romney in 2008 bowing out to Senator John McCain’s ultimately losing presidential campaign. Leaving the race, Mr Romney complains, as others have, that the Republican party has a debilitating habit of anointing as its next candidate not the best person for the job but the next candidate in line—the one who lost last. We see here, and elsewhere, Mr Romney complain of the failure to get his message across. To the 2014 viewer, the irony here is patent. The Mr Romney who would choose to run again in 2012 presumably benefited, however late, from this complained-of Republican default. But, unless there is something Mr Romney of 2008 is not saying, that irony is not available to him in the moment of withdrawal. Mr Romney’s choice to run again in 2012 is left unexplained both in narrative and political terms. This may leave the viewer with the impression either that Mr Romney’s decision to run again is the product of that Republican default or the reasons Mr Romney and his family supplied in 2006 somehow trumped their insistence that the 2008 campaign should be a one-shot deal. Either option seems possible. And, in a film that otherwise affords Mr Romney and his family an appealing measure of personal dignity and credits their communal thoughtfulness as they pursue a gargantuan goal, a bit more clarity on the ‘why’ that lead to Mr Romney’s 2012 campaign would have been useful. In the end, Mr Romney suffered a failure to communicate and connect on faith, person and policy. And, getting a look at the (relatively) private Mr Romney, the films begs the question: Why did someone who seems so confident, capable and kind loose? This is not to say Mr Whiteley should answer these questions. Indeed, he has been clear his film does not seek any answer, especially a political one. Rather, the film seeks to show a part of Mr Romney we may not know. 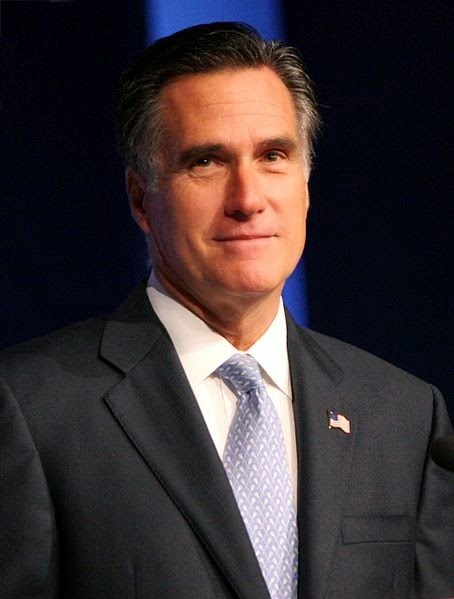 The film shines in showing a more personal side of Mr Romney and his family. And, in showing us this side of Mr Romney, the film excels in demonstrating just how disconnected the Mr Romney we see here was (is?) from the Mr Romney who ran to be President of the United States. The film does invite—it does not ask—another big question. What if? What if Mr Romney had been able to show more of the side we get to see in this film? Would he have won? The question may tempt some. But, ultimately, for two related reasons, it is difficult to imagine that we would now be talking about President Romney, if only he had somehow managed to show what a decent, careful, successful and loving family man he appears to be. First, it is important to keep in mind that Mr Romney’s loss—Mr Obama’s victories—were convincing. When Mr Romney was the candidate, he faced an Obama campaign that was well-funded—both financially and with the aura of the Office of the President—, strategically sophisticated, thorough in its preparations and effort and battle-tested. And, Mr Romney faced a reluctant electorate. Second, answering this what-if with if only presumes, incorrectly, I think, that voters would have accepted a portrait of Mr Romney like this during the election with the same kind and moot curiosity we might summon now. This—our conflicted appetite for information—is another quiet question in Mitt. Media prevalence in Presidential politics is part of the larger role media plays in our culture, in our democracy. We crave information. Media feed a growing social appetite for information with a growing capacity to deliver. Political campaigns, meanwhile, strive to ‘cut through the noise’ to give voters a true sense of their candidate while straining impossibly to control every application of every published tidbit. We seem to think we can and should know everything about everyone, that it is all relevant because we can know it. At the same time, we are deeply and no doubt rightly suspicious about information—especially the information we get in a political campaign. We are not seeing what we should be shown. Mitt—the film—shows and implies a lot. It answers a little. In the end, it is up to you, the viewer. Mitt is a Netflix Documentary. It premiered at Sundance on 17 January 2015 and, as of 24 January 2014, is available on Netflix.